Themed weddings have become all fashions, and with these particular type of decoration, the most popular have the centerpieces and floral arrangements that include delicate fishes. 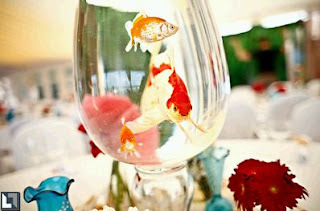 In fact such Centerpieces are the perfect for weddings on the beach, outdoors, or for those with marine-themed decor. 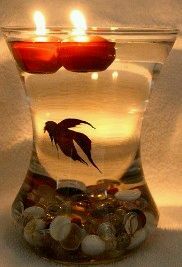 There are a variety of arrangements that can easily be supplemented with these marine animals, you can use candles, flowers, branches, stones and crystals, really just need a little imagination and good taste and see how good it is. Here are some ideas that we are sure will be useful. In this first installment we have a centerpiece quite simple but very beautiful, it is a tank with stones on the bottom, lighted candles floating on the water and a delicate fish, swimming in the middle. 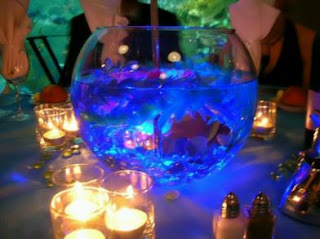 This one only includes the aquarium, the fish, the petals and stones, including a soft light blue color used in decoration. Beautiful, full of life and color, are the three characteristics of this center table between the tank and fish, while the flowers and gems or stones, are found around but outside the settlement. 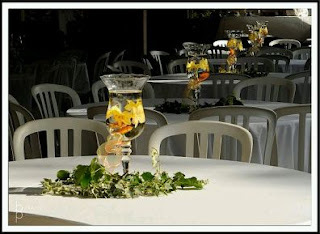 Another example of how well these animals are in the decoration of the tables. 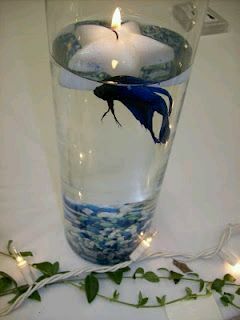 Again, fish, aquarium rocks, in this particular case of blue, complement the delivery a little candles around. 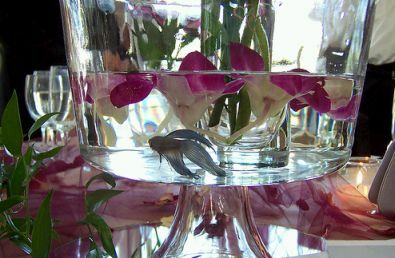 Beautiful and elegant arrangement which not only includes the aquarium and the fish, but a delicate white flowers and lilacs. 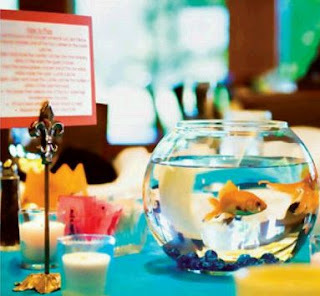 Another presentation that not only the stones of the bottom are blue, but the fish chosen complements the centerpiece, a small candle in the shape of starfish, floating on top. 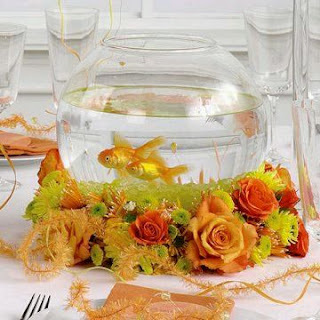 A sample of how well the tables are set with decorations of this type, in this particular example you have fish, submerged flowers and green branches are the perfect foil for yellow and orange tones of the array. Elegant centerpiece for which were used basically roses in shades of yellow, orange and melon, the tank needs only two goldfish. 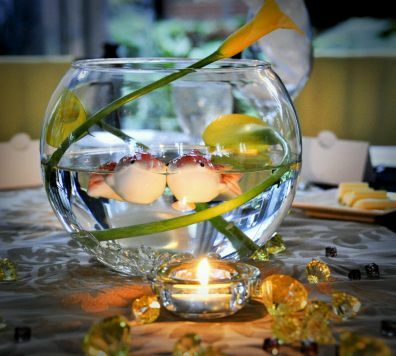 Finally, if you want to use fish, but do not have the ability to find things, this is a good alternative, the centerpiece continues to be beautiful with delicate Calla lilies or water inside. 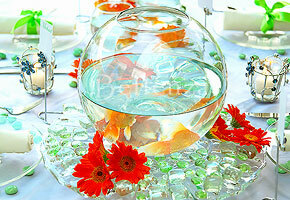 Hope you have tasted these arrangements and centerpieces with fish.